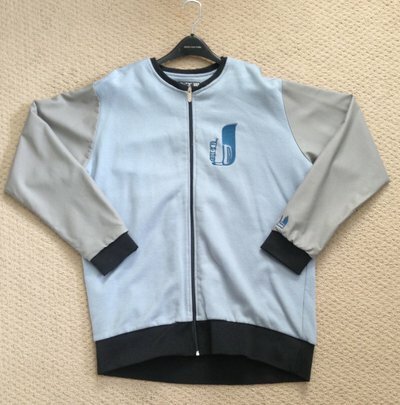 --Hey there, I'm trynna sell some of my coveted ski attire so I can buy a pair of skins and Daymaker touring adapters to take to college this year. 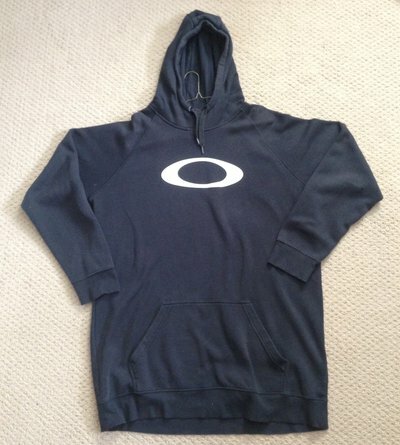 -This was sold exclusively on Oakley's website for a very limited time, worn skiing one time. Miller moth nibbled a tiny hole about the length of a dime in the left sleeve. Other than that, this is in perfect condition and has a phone pocket in the main center pocket. I'm 6'3" and this hits me mid thigh so its very long. - Worn one time to class, never seen another one like it. Bought directly from Jiberish warehouse in Denver. -Worn around class, never skied in. Collar folds in front sometimes, definitely tall for a 2XL, also bought directly from Jiberish warehouse in Denver. 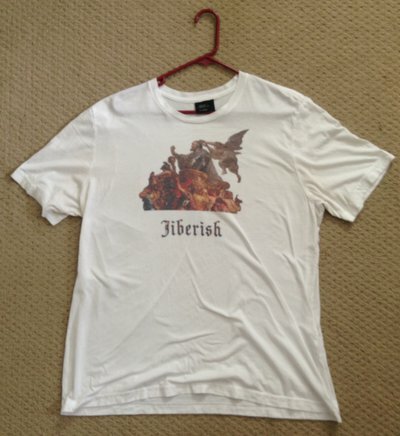 -Super rare, older tee from Jiberish warehouse, never sseen another like it. Worn 5 times to class, never skied in. 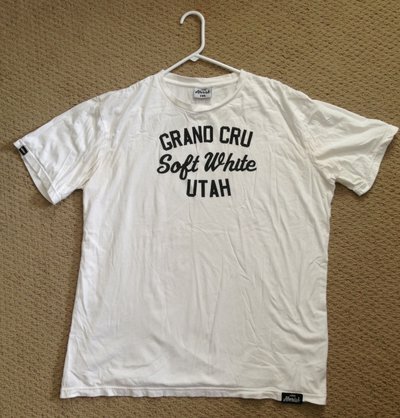 -Worn around class 5 days, never skied in. Definitely tall for a 2XL, also bought directly from Jiberish warehouse in Denver. -Worn to class twice, never skied in. Fits slightly small for a 2XL, also bought directly from Jiberish warehouse in Denver. 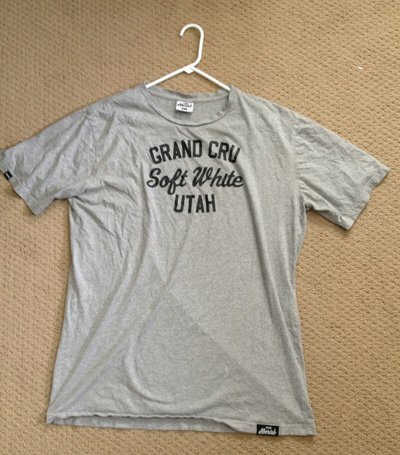 -Worn once, never skied in. 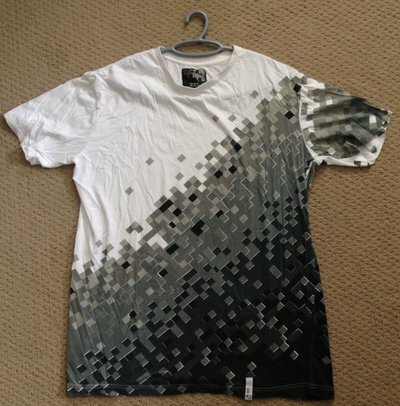 Fits long for a 2XL. 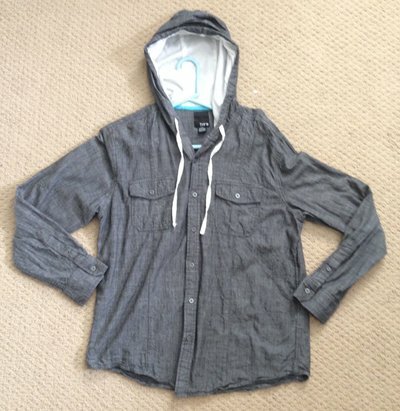 -Great for fall layering, only ever worn a couple times to class. 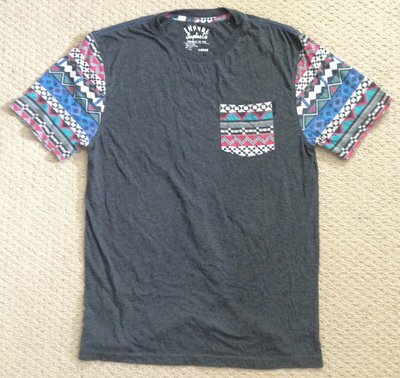 --Size L Empyre pocket tee in grey and southwestern patterned sleeves and pocket. 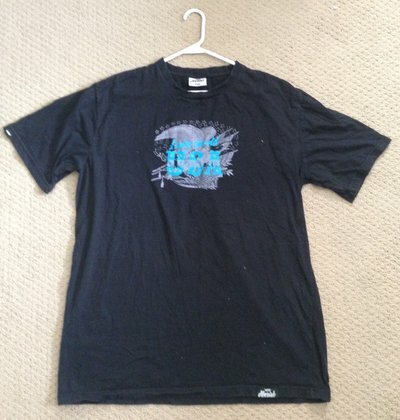 -Only ever worn to class maybe once or twice.